Following Manchester's murder detectives over the course of a year. A burnt body is discovered in a homeless camp under railway arches and soon a murder investigation is underway. 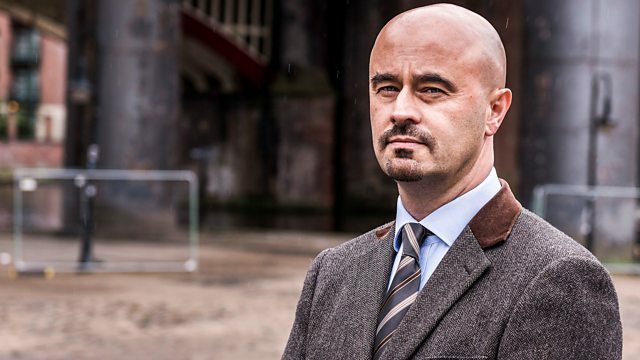 In this episode, when a burnt body is discovered in a homeless camp under railway arches close to the city centre, GMP's Major Incident Team are called to the scene and very soon a murder investigation is underway. Detective Superintendent Jon Chadwick, head of MIT, takes on the case but with no CCTV and no witnesses, the team has little to go on. As extensive forensic work is carried out at the scene, the investigation leads detectives into the world of Manchester's exploding young homelessness crisis. Also in this episode, another case comes into MIT. A woman is the victim of a horrific petrol bomb attack in her own home. With the suspected attacker, her brother, on the run and armed with more petrol bombs, police launch a full-scale manhunt.